Chelsea is 10 points behind Manchester City in the Premier League and it seems that all of the Blues’ hopes of being involved in the title race have disappeared once they stood off the pitch at Wolverhampton, in a 1-2 defeat mid-week. However, this is a derby and Sarri’s men don’t need to think like that. The win is their goal and we should be up for an amazing game. Manchester City has won the last three direct encounters without conceding a goal, including the Community Shield at the start of the campaign, 2-0. Maurizio Sarri’s dream first months at Chelsea have come to an end. After the 1-3 defeat at Tottenham, one that could have gone a lot worse, the Blues stroke one back with a 2-0 home win over Fulham. But another away game showed us that Chelsea isn’t quite capable of fighting for the title. Mid-week, Chelsea went to Wolverhampton to play a team that had five defeats in its previous six matches. And although Loftus-Cheek opened the score for the visitors in the 18th minute, the Blues were incapable of even getting one point. In the second half, Jimenez (59th minute) and Jota (63rd minute) turned things around for the Wolves. Chelsea had possession, more chances to score, but in the end, it didn’t matter that much. Hazard got over his back issues, yet the Belgium international wasn’t at his best. And that makes all the difference for Sarri’s team. At home, Chelsea has conceded 7 goals in 8 matches, almost as much as 15th place Crystal Palace. However, the Blues are undefeated in front of their own supporters this season. The Citizens have seven straight wins in the Premier League. The last one came mid-week, at Watford, 2-1. Manchester City also conceded a goal last week, at home, against Bournemouth, but although the teams were leveled up at halftime, we never got the impression that the Cherries could get something from that duel. The game against Watford was entirely different. Manchester City got the first strike in the 40th minute when Sane put it past Foster. City scored the second goal in the 51st minute, with Mahrez hitting a lovely shot from inside the box. But the ending was something we’ve rarely seen before. Doucoure made it 2-1 in the 85th minute and with Watford pressuring more and more, Guardiola sent Laporte in for Gabriel Jesus. Additionally, Ederson was booked by the referee for time wasting. For almost 10 minutes, we saw that even Manchester City can suffer to obtain a good result. Aguero was once again left outside the squad, recovering from an injury. The Argentinian is questionable for the game against Chelsea, but we believe this is the reason why Guardiola chose to not force him – for his attacker to be fit for a very important duel against the Blues. 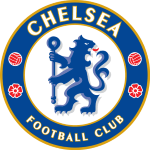 The game takes place on Stamford Bridge, London, Saturday, kick-off at 17:30. 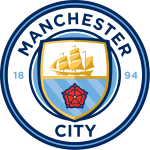 Chelsea – Manchester City counts for game week 16 of the Premier League. Such an important duel must be played at Bethard. The Swedish bookmaker offers 14/5 odds for a Chelsea win, while a draw receives 53/20 odds. A Manchester City victory comes at 1/1 odds. Chelsea has seemed weak lately and that doesn’t come well before a derby. However, Sarri’s men play at home, where they are undefeated in the Premier League this season. Our first option is Chelsea + 2 EH, 29/100 odds at Bethard. We also are willing to bet that we’ll see goals at both ends, so BTTS is a pick to be remembered, having 27/50 odds. Even if both teams have the ability to pass the ball over and over again, we’ll see plenty of actions right at the edge of both boxes. Over 9,5 corner kicks is our final prediction, 17/25 odds. To conclude, we have three predictions for the Chelsea – Manchester City duel – Chelsea + 2 HE, BTTS, and over 9,5 corners.